Nowadays, playing games is commonly regarded as one of the most popular entertainments to relax. Supposed that you are a game master, you would like to share some special tutorials to guide other gamers to play games better and up to a level. Now you will need a professional game recording tool to assist you in capturing game playing process on your computer. But when you are looking for it, you must be confused as there are so many similar game screen recorders. To provide significant convenience, we here list 5 best game recording software that can be used on Windows and Macs for your kindly reference. As one of the best advanced game recording software, Joyoshare Screen Recorder can capture games into any formats and devices. It is capable of recording all your desktop activities, including online game videos, live chat, streaming movies, Skype calls, etc. You can customize the recording screen size as you like, capture game videos in full screen or preset the standard ratios. Different from other game recorders, it supports plenty of formats, for instance, HD MP4, AVI, FLV, SWF, WMV, MKV, MOV and other common formats. Some popular devices, like iPhone, Andriod, Xbox and smart TV are involved. Equipped with outstanding recording optimizer, Joyoshare gaming capture is well designed with flexible settings. You can decide whether to record gameplays with microphone sound or system audio, select wanted output format, take screenshots anytime during capturing process, highlight cursor movements, or create a scheduled recording take setting an specific date and time ahead of time. After your recording, you can also edit the game capture, like revising its file name and preview it. As a free and popular open-source, Open Broadcaster Software attracts much attention from both new starters and senior professionals. With intuitive and simple interface, it shows all necessary information in your first sight, which will not require you to change any special settings. What you need to do is to choose game source that is going to be captured and start to record it. 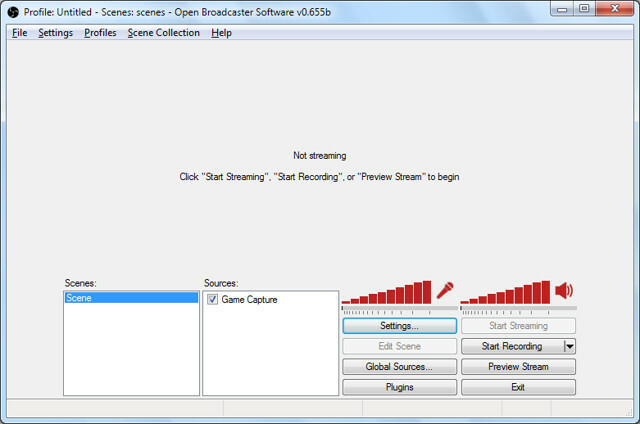 Open Broadcaster Software is supportable to output your game recording with MP4 or FLV format and keep high quality as well. It enables you to upload your game capturing to some popular websites, for instance, YouTube, Twitch, etc. Of course, you can directly save recorded game video on your PC for later playback. Apart from basic game recording functions, it also well developed with some special options, like Push-to-Talk mode, Picture-in-Picture mode, Custom Watermarks. 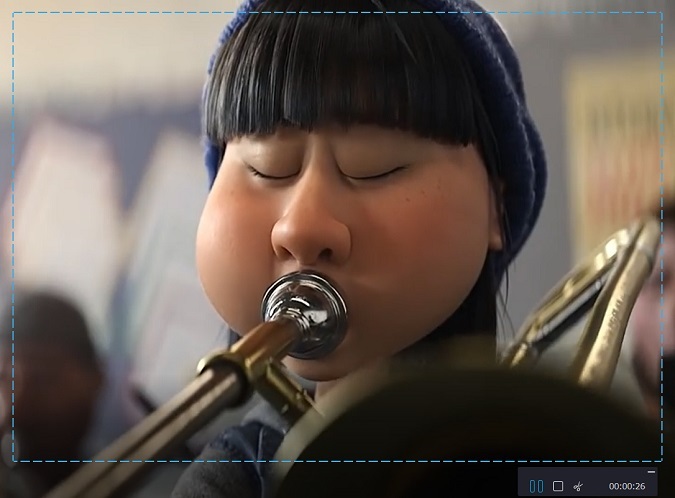 Most importantly, Open Broadcaster Software is equipped with filters that assists in fast filtrating noise, meaning you can record game video without unwanted and unexpected sound included. 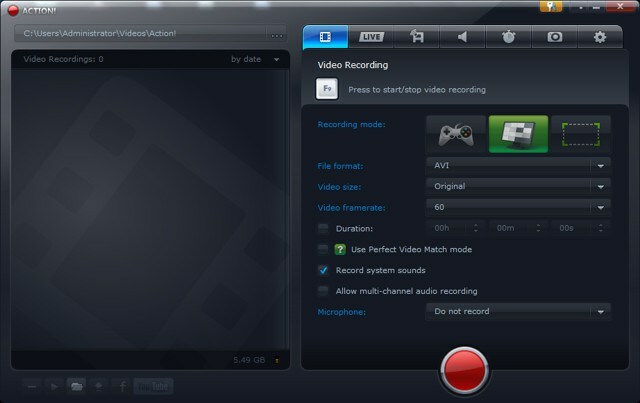 You can feel free to enjoy this game recording tool on Windows, Mac together with Linux operating system owing to its great compatibility. Supported operating system: Windows Vista, 7, 8, 8.1 and 10, Version for Mac OS X and Linux is in the pipeline. As a paid game recorder, Action! is well designed with diverse attractive functions, which aims at helping gamers to record game video through gaming platform so that they have chance to enjoy their favorite game recordings with Windows operating system. Similar to some other game recording software，Action can make full use of your computer's GPU to accelerate game video capturing process, which at the same time can alleviate the pressure of CPU. Of course, it supports HD game recording video up to 4K resolution with live streaming services, which is to say, you can directly stream your game recording from Action to YouTube, Facebook, Hitbox, etc. There are two available output formats you can choose for your game capturing, AVI and MP4. What is also worth mentioning is that you are allowed to add live annotation to your game video. Besides, there is a remote access where you play your PC games on Andriod phone and control computer through Andriod. If you would like to control your Action recordings, you can accordingly use a simple Action Andriod app. 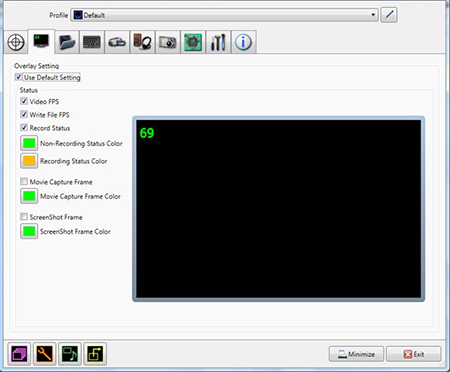 Furthermore, Action enables you to edit your game recordings, such as slow motion and cropping. Its Time-Shift mode is also effective developed with a limitation of 10 minutes. 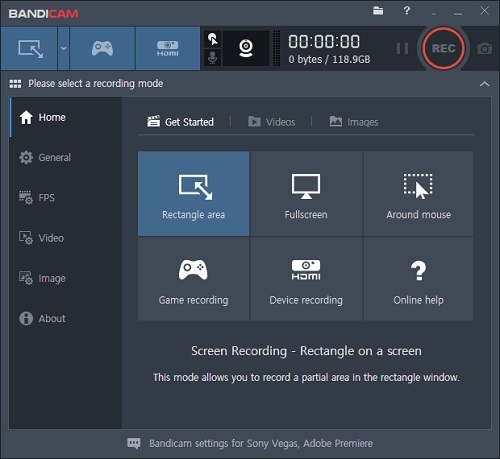 Here comes a simple but efficient paid game recording tool, which is Bandicam. Easy-to-operate as it is, Bandicam is dedicated to offering better service for users. It comes with features not as rich as other types of game captures, which is a suitable choice for new beginners. To record game video, you are entitled to choose a specific screen area to be captured, no matter how large and which region you want, you can increase it or decrease it on your desktop screen based on your requirements. Specially, Bandicam is good at recording and saving game video in small size owing to its built-in advanced compression technology, which can guarantee lossless quality with 4K Ultra HD resolution along with 3840 X 2160 file. What's more, you have right to enjoy recording for 24 hours continuously. If you want, you can also make a scheduled task to start and stop recording. Bandicam can capture games straightly, have PC screen control, use a webcam or take advantage of HDMI connectivity to record. A completed game recording can be shared to YouTube with ease. With a clean and tidy operating interface, Dxtory can work with high performance. It can bring great convenience to gamers to record game videos. Dxtory is widely used and well known for its excellent speed processing with the reason that it is able to acquire all date guiding to surface memory buffer. When it comes to recording function, it can give you a big surprise due to its robust audio settings, which allow you to capture two audio tracks simultaneously, taking microphone sound and game voice as an example, and edit it in separate after recording process is finished. While for video settings, there are some options given to let you customize your game recoding, like video codec, sources, frames 10-120/second, format and size. Certainly, Dxtory can supply best video with high quality. You may satisfy this recording software as long as you ignore the huge size. When you try it, you can verify whether it will put heavy load to your GPU and CPU. Dxtory enables you to save screenshots at any time with various desirable formats. If you are interested in it, you can try its free version first. However, compared with its paid version, it adds watermark to every game recordings. Which game recorder is best? If you are a new starter, you can try some free game recorders with basic recording function. In general, Open Broadcaster Software is a nice choice that is compatible with almost all operating systems, like Windows, Mac together with Linux. Nevertheless, if you are a senior professional, you cannot miss some paid game capturing software when you take all-in-one game recording solutions and comprehensive features into consideration. In this case, Joyoshare Screen Recorder can bring you the best experience owing to it can not only support any output formats and devices without limitation, but also can provide a personalized platform to you to customize your game video recording. Anyway, only when you tried those game recorders by yourself can you find the best one that fit for your exact needs. May you enjoy your game recordings!